Vrois is an extremely young VPN service provider that is based in the US. It is so young that hardly a year has passed since it came onto the scene and started to offer its VPN service. And because of that lack of experience, there are some critical flaws in Vrois as a VPN service. It doesn’t have the required features that people expect from modern VPN service providers. What we mean by that is, it didn’t have (still doesn’t have) a dedicated desktop client at the time of this Vrois review. But that doesn’t mean it is not worth your time or attention. To make up for a lack of features, Vrois offers an excellent level of encryption. It also offers subscriptions packages that enable new users to connect up to eight simultaneous devices per connection. But does this mean it is a good option for you? Well, to find that out you’re going to have to read the full Vrois review. By the end of this Vrois review, you will know most of the thing you should know before taking the plunge and signing up for Vrois VPN. Most of the modern VPN service providers go with either two or three packages. What they really want is to sell you only their “most valuable” package. 5 What About Free Trial And Money-Back Guarantee? 7 How Many Simultaneous Devices? 10 But what about the practical or the real world? 16 Pro Plan Misleading Advertising? 23 Does Vrois Work With Netflix? 24 How To Test For VPN Speed? But they do so by a marketing trick and offer you many extra packages so that you would have this illusion of choice. In other words, there is really only one good package that a VPN service provider wants to sell you. Any other package than that, and it might mean that you didn’t get the best value for your money. Of course, there are always users who don’t want the best value for money. They want the best money can buy. Some users are just looking to get by with a cheap VPN service provider. And while we don’t fault them for this approach, this could lead to a lot of problems. Cheap VPN service providers often take shortcuts that compromise user privacy and hence aren’t a wise investment. This holds especially true for free VPN service providers. They aren’t actually free, but give off that illusion. Behind the scenes, they are selling your data to a marketing company. Of course, there are some good free VPN service providers as well but they all come with their own set of restrictions. Therefore, if you want a premium VPN service, there is no other way but to go for paid VPN service providers. We hope that has become clear to you by now. 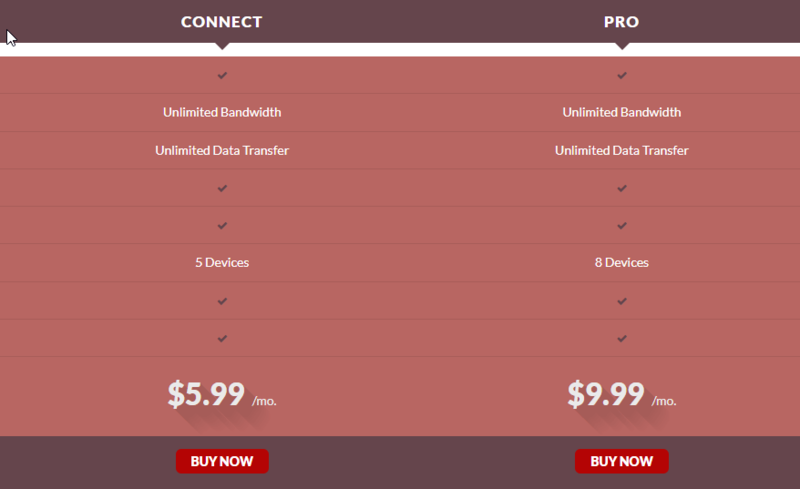 Just like all the other VPN service providers at the top, Vrois too offers users two packages. You can either subscribe to Vrois with the Connect package or you can also go for the Pro package. The Connect package starts at $5.99 per month. While the Pro package starts at $9.99 per month. Well, for the most part, both packages offer the same features. The only noticeable difference is the number of simultaneous devices each package allows you to connect with a single account. With the Pro package, you can connect more simultaneous devices per account. In other words, the Connect package allows you to connect up to five devices with one account. While the Pro package allows new users to connect up to eight simultaneous devices per account. Moreover, the Pro package is also the better package in terms of server locations. The Connect package has 25 server locations while the Pro package has 50 locations. You will find it a bit hard to notice more VPN server location though. That is even if you sign up for the Pro package. This might be a bug or a glitch. If you face such a problem, we advise that you should contact customer support as soon as possible. Because Vrois VPN does follow the industry in a lot of features that if offers. Besides, what has worked for another VPN service provider, is likely to work for another VPN service provider as well. So there is nothing wrong with that. Vrois, following the norm in the industry, offers a lot of discounts and savings for users who sign up with Vrois on a long-term basis. If you sign up for the right plan you can benefit from some discounts. If you sign up with Vrois VPN for a period of six-month, that is if you buy a six-month package, then you can save up to 20%. Moreover, if you sign up with Vrois VPN for a period of a full year, that is twelve months, then that discount rate jumps up to 35% on a monthly basis. It’s not mindblowing but it is certainly great. Vrois VPN handles and processes all its payments through Stripe. There is also something great about a VPN service provider offering Bitcoin as a payment method. Some users do want extra security and anonymity, from start to finish, and the only way to ensure that anonymity and security is via Bitcoin as a payment method. Bitcoin can and does increase your anonymity exponentially especially when compared to some of the other payment methods such as PayPal and credit card. What About Free Trial And Money-Back Guarantee? All Vrois VPN subscription packages come with a 14-day money back guarantee. We didn’t see any mention of a free trial on the official website. If they do have a free trial feature then we didn’t see it. Of course, you can always email the customer support service for any VPN service provider and find out if they offer a free trial for their VPN service. Anyway, if you use Vrois VPN service for a period of 14 days and feel it is not for you then all you need to do is send a cancellation email to Vrois VPN. And in that email, you need to demand a refund. As per official policy, Vrois VPN should give you all your money back. Otherwise, we will have to update this Vrois VPN review. As mentioned before Vrois VPN service is a relatively new VPN service. In fact, it is rather absolutely a new VPN service. It is slightly more than a year old. Which is young even by human standards. Therefore, we found it hard to find trustable information on Vrois VPN’s parent company. As indicated earlier as well, Vrois VPN is based in the US. More specifically, the company is based in the state of California, Lake Elsinore. As some of our readers might already know, as far as VPN service providers go, the US is probably the worst place to operate from. Because the country is insanely tough on privacy issues. VPN service providers have to agree to a certain set of laws which means they can’t guarantee user privacy and anonymity all the time. You don’t want to sign up for a VPN service provider that will give up your information to the law if it asks for it. But we’ll come to the reasons why VPN service provider in the US is not a good idea later in this Vrois VPN review. As mentioned before, Connect subscribers can have up to five simultaneous devices on a single account. While the Pro customers can connect up to eight simultaneous devices. Both of the subscription packages offer enough number of simultaneous devices. We know plenty of top VPN service providers who don’t offer anywhere close to five or either simultaneous devices per account. But of course, numbers don’t matter if your VPN service provider doesn’t provide a good VPN service. We will talk more about this later in this Vrois VPN review. For now, you need to know that if you want to buy a VPN service provider for your entire family or your small office that Vrois VPN can accommodate all of you. The official site for Vrois VPN says that it includes features such as perfect port forwarding. That is great as far as privacy and anonymity is concerned. During the course of our research for this Vrois VPN review, we couldn’t find substantial evidence that Vrois VPN indeed has port forwarding feature. It is confusing but Vrois thinks not. Voirs offers 25 servers for the Connect plan. And it offers 50 servers for the Pro plan. As mentioned earlier as well, our research tells us that sometimes the company doesn’t allow you to connect to all its servers. We don’t know the reason for that. But we would not like to say that it is because it doesn’t have as many servers as it likes to advertise on its official website. Our research for this Vrois VPN review shows that you should have no problems in connecting to about 22 servers in over 20 countries on any subscription plan. If any VPN service provider wants to make it in the VPN industry it has to make sure it is water tight on issues such as security. This is a no-nonsense feature for us. If a VPN service can’t guarantee perfect security for users, then there is really no point in subscribing to such a VPN service provider. Users are better off signing up for a SmartDNS service if a VPN service can’t provide perfect security. So how does Vrois VPN perform with regards to encryption? Thankfully, Vrois ticks most of the boxes that we expect from a VPN service provider that takes user privacy and security seriously. In other words, Vrois VPN uses an AES-256 bit encryption. Then the company bundles that encryption technology with an RSA-2048 bit handshake and of course, HMAC SHA-384 authentication. As mentioned before, this encryption implementation is strong indeed. We touched upon this issue earlier as well, but Vrois does offer perfect forward secrecy. It provides that via Diffie-Hellman Exchange. All of that is great as far as privacy and anonymity is concerned. That is, on paper, it looks and reads great. But what about the practical or the real world? Well, as far as real world facts are concerned, you can’t ignore the one that says Vrois VPN is located in the US. The US is probably the worst country for a VPN service provider right beside the UK and some countries in the EU. These countries are known to have no respect for things like digital privacy. The US government along with many other partners have forced technology companies to give up information on their users. And they are expected to do the same for some time to come. Perhaps for all time to come. And therefore, if a VPN service provider can’t ensure that it will not submit information regarding its customers to the government of any country, then it isn’t a VPN service you need to subscribe to. According to official sources, Vrois VPN does not keep any logs on its users. At least that is what Vrois VPN says on its official website. All VPN service providers, at least the ones that we have reviewed, claim that they have a zero-log policy. Since the fine print can mean anything at all. And since Vrois VPN service is based in the US, the fact is, it can never guarantee zero-log policy for its users. In other words, it cannot offer complete user privacy no matter how hard its marketing department tries to convince the users otherwise. Vrois VPN also mentions that it will fully cooperate with entities such as the US government and other law enforcement agencies. This is again, bad news. Vrois VPN allows users to torrent via its VPN servers. Since it can’t guarantee complete user privacy, you are better off signing up with a VPN service provider that can guarantee your anonymity. And then use that VPN service provider to download whatever it is you want to download via Torrent or P2P technologies. Otherwise, it is a risky game. And when it comes to user privacy in the online world you don’t want that. You should always try to play it safe than “sorry” when it comes to digital privacy. If a VPN service provider doesn’t have a great official website, it has already lost many potential customers. That is why we believe that having a good official website is a must for any VPN service provider trying to make it big. And moreover, we also think that a VPN service provider must provide enough security to new users starting from a visit to its official website. That is the only way to ensure total privacy when a user signs up for a VPN service. Otherwise, what is the point of having a great VPN service provider when hackers can just wait for you to come to the VPN service provider’s poorly secured and built official website? The official website for Vrois VPN service is easy to navigate and very well organized. Of course, there are some issues that we would like Vrois VPN to fix but we’ll come to those a bit later. For starters, you should know that Vrois official website administration system is a bit messed up. 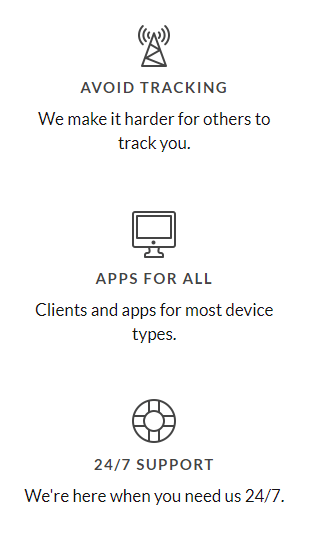 Not that it records your movements and sells to third-party marketing companies. What we mean is that our research for this Vrois review tells us that even if you sign up for the Pro plan, the website still displays upgrade notifications. And these notifications are conveniently scattered throughout the whole official website. And we wouldn’t have a problem with such advertising if someone had signed up for the cheaper Connect package. But for the Pro plan subscribers? Vrois VPN should probably contact with Front-end developers and tell them to stop bombarding Pro users with an upgrade notification since there is no way to upgrade your subscription package when you are on the Pro plan. The next problem we noticed with Vrois VPN official website is the lack of grammar and spelling mistakes. Listen, operating an online website is a tough business. There are just so many factors that one has to look out for. So it is understandable that you are bound to make some spelling and grammar mistakes. 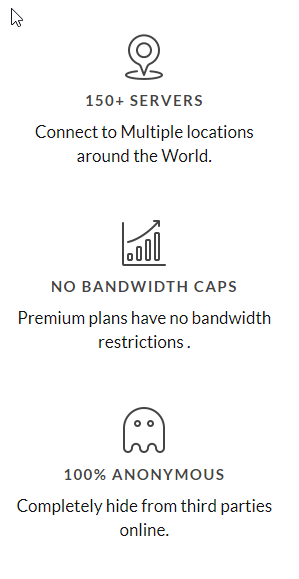 But a VPN service should be professional enough to have Grammarly subscription or hire someone to proof-read the content on the official website. Of course, a VPN service provider has very little to do with spelling mistakes. In fact, it indicates a lack of professionalism. And if a VPN service provider isn’t excellent in all other areas then small issues like these can contribute to a much lower rating than otherwise. Vrois has probably taken out advice and has corrected all spelling mistakes on its official website. At the time of this review, Vrois VPN service offered plenty of options for users to engage and interact with the company. For starters, users can use a standard ticket system to contact the company. The company also offers telephone support to users. There is a toll-free 1-888 phone number for users to contact the company. The company also offers a live chat service. This live chat service is maintained via a contract with Zendesk. It doesn’t work all the time. And when it doesn’t work all the time, it seems like there is no live chat support. But only a button on the official website that says that the company has live chat support. Our research for this Vrois VPN review tells us that sometimes Vrois VPN service live chat support gave errors while at other times it simply did not work. Vrois VPN also advertises on its official website that it offers an advanced support ticket system. We don’t know what Vrois VPN means by “advanced” here. Because we think it is just a normal ticket support system. Apart from the methods mentioned above customers can also take advantage of some slightly less formal methods. Methods such as contacting Vrois VPN service via its several social media pages. However, there is a problem with this method as well. Remember the time when we told you that Vrois VPN service is a new service? Just a year old in fact? Well, that is the problem. Since it is so new, it doesn’t have much content on its social media pages. The company does a terrible job of updating its social media pages with about one post per month. In these times, when customers want to know anything and everything at a moment’s notice, it is not sufficient for a VPN service provider to be away from its main social media pages for so long. Moreover, the problem with social media pages in the case of Vrois VPN is that they have very few followers. At the time of this review, the company had around 300 to 400 followers on all its social accounts combined. Contrary to common belief, we don’t think the installation process begins once you download the VPN app file and start the installation wizard. We feel, the real installation process begins a bit before that. Precisely when you log to the official website and go to the sign-up form. If a VPN service doesn’t make sure that visitors become customers as quickly as possible, then it loses a lot of business. And hence scores low on our ratings. While Vrois sign up process is quick it is not the fastest we have ever seen. It should take you about 10 minutes to complete the signup process from start to finish. As you can probably imagine, 10 minutes is a lot when we are talking about the online world. We have seen some VPN service providers who sign up customers within three minutes by requiring very little account details. Regardless, when you are finished with the sign-up process, the company send you a verification email to your email address. Remember, the only thing you need to sign up for Vrois VPN is a valid email address and a unique password. After the initial signup process, you have to input your payment method. That is where the easy part finishes. After this comes the really hard part. Vrois VPN doesn’t have a VPN app. To do that you will have to manually download OpenVPN client. But wait a minute, there is more. After you install the OpenVPN VPN app, you will also have to download .ovpn files from its servers from the official website. So go to the official website and copy those files from the official website. If you go to your account page on Vrois, the company will show you the exact process via a step-by-step guide. This is all great and perhaps saves the user a lot of time. But of course, it isn’t as smooth as when a VPN service provider comes with its own VPN app. After you have installed the files from the official website and have installed the OpenVPN app, you have all to add the individual VPN server config files. Every time you want to change a server, you will have to download new files from the official website. Once you have configured a VPN server on the OpenVPN app, you won’t have to set it up again. There isn’t much to talk about as far as user interface is concerned. Because Vrois doesn’t have a VPN app. It uses the OpenVPN free VPN client, which is pretty good. But Vrois shouldn’t get any credit for it. Because it is using someone else’s software. And when you are a paid VPN service, you can’t do that if you want to rank amongst the best VPN service providers in the market. 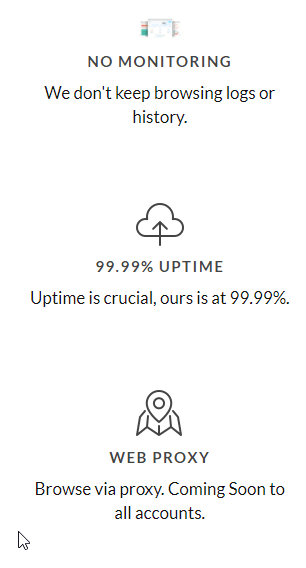 If a VPN service provider is great at everything but lousy in its server speeds, then it is a useless VPN. What use is a VPN service if you can’t even open Google or Youtube. With that said, it is important that you know all VPN services reduce your internet connection speed. That is just the way VPN services work. But good VPN service providers affect your internet connection speed much less than average VPN service providers. Of course, we’re talking about the modern customers here and modern customers on the internet want to have a VPN service that not only protects them but also allows then to stream high-quality videos from streaming websites. And that leads us to an important mini question. Does Vrois Work With Netflix? In other words, with Vrois you can access the US version of Netflix and can also access the UK version of BBC iPlayer. All of that will obviously go to waste with Vrois VPN is not fast enough for HD streaming. Our research for this Vrois VPN review tells us that Vrois can play US Netflix videos and BBC iPlayer content effortlessly. That also means it will play videos on sites such as YouTube with ease as well. Since Vrois VPN uses the OpenVPN protocol by default, its speed results are interesting. 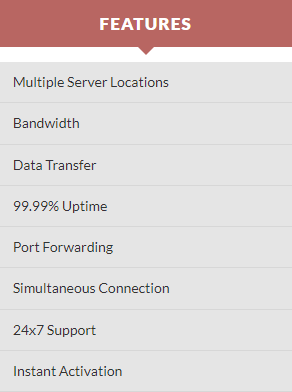 How To Test For VPN Speed? And then measure your speed when you have the VPN turned on to when you don’t have the VPN turned on. Then do this for different servers. And then do it again for servers in different locations. After that, average out all your results. And find out if your VPN service is fast or not. From our research for this Vrois VPN review, we think that Vrois is fast enough. It is not even one of the fastest. But it is fast enough to not torture you while visiting media-heavy websites. As usual, Vrois also had the fastest speeds on its US servers. So expect a smooth HD video streaming experience with Vrois any time you want to. When we tell you that Vrois doesn’t have a dedicated VPN client, we mean that it doesn’t have one on the Windows platform. As far as Android users go, Vrois has a dedicated app for them on Google Play Store. The official website will tell you that dedicated VPN apps for platforms such as Windows, Mac, and iOS are currently in development. But that is, again, not good enough. Since OpenVPN protocol is pretty versatile you can use Vrois VPN service on many other platforms. Of course, the only trick you have to learn is how to install Vrois on all these platforms. And you also have to take care that all server files go where they are supposed to go. That is, the right place. More than 3000 users have downloaded the Vrois app on Google Play Store. And the app currently has an average rating of four out of five stars. We do hope that Vrois brings more dedicated apps for more operating systems. Should you buy Vrois VPN? Well, let’s answer that question with a series of Pros and Cons. After that, we will move forward with the bottom line. Reviewing a new VPN service provider is always a head-scratching experience. You don’t know if the VPN service provider is reliable or even good because the VPN provider doesn’t have much experience behind its VPN service. Vrois has a questionable customer support program. It doesn’t bode well for its commitment to the customers in the future as well. And then there is the fact that the company doesn’t have a desktop client. So people who have never used a VPN service before are completely out of the picture. They can’t possibly set Vrois up through the OpenVPN app. And hence they are likely to move toward VPN service providers who provide one, two and three installation processes. We have also heard complaints that the official website has plagiarized some content from a popular VPN review site. That is shocking to the least but we can’t confirm this, so no judgments. What’s the other issue to Vrois? Well, it is based in the US and that is bad for any VPN service, no matter how good it is. If you value your privacy you will always try to stay away from VPN service providers who are based in the US. But with all that said, we can’t ignore the fact that Vrois is new. With time, it will only improve. It has time on its side. All it has to do is keep improving by looking at the big guns of the VPN industry. If you have a question about Vrois or its VPN service then do let us know in the comments section below. Vrois offers its VPN services for either $5.99 a month or for $9.99 a month. Based on the package you buy you can either avail up to five simultaneous devices per account or eight. With the Pro plan, official sources say, you can also avail more server locations. But the problem is, that is it. Vrois offers nothing else. It doesn't have dedicated apps for Windows or Mac. Though it has one on the Android, even that is devoid of the standard set of features that good VPN services should have. Moreover, its customer support is not reliable and it is based in the US which is always bad for a VPN service provider.